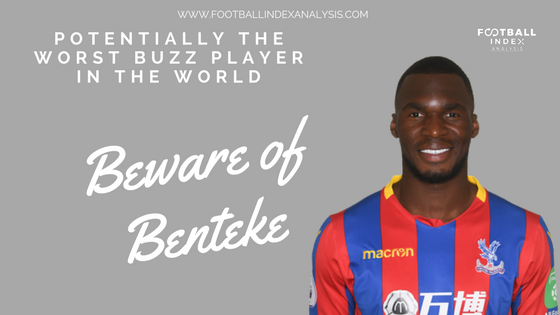 Christian Benteke | The Worst Player in History of Performance Buzz? Benteke started his career off and most pundits genuinely thought Aston Villa had uncovered a late bloomer in Benteke, after he scored 49 goals in 100 games for them, he moved to Liverpool for £32.5m. Which is where things went downhill! He scored 10 goals in 42 appearances for Liverpool, which is pretty bad seeing as they’re a top 5 team. After this, he moved to Crystal Palace, where he has scored 15 goals in 45. He’s moved down a peg to Crystal Palace, where he’s probably not expected to score many goals, but it’s the performances which may seem worrying! Benteke is at the peak age, so it seems he has one more chance to turn his career around. His stats show that he can score goals. Maybe it’s the service he is receiving? Since PB has started, he has earnt negative scores, meaning he has little chance of winning dividends. Crystal Palace players don’t tend to have much of the media’s attention, so he is very limited. Benteke is currently at the lowest price he has been in 6 months! This means he may soon become a good short term investment, as if he achieves a shock performance dividend, there will be added interest in him. Crystal Palace are also playing very poorly at present, if they get relegated, we may find that he gets a transfer, if he moves to the right club, he could reignite his career. There’s definitely more against than for! I feel a bit bad writing this, as it’s not all Benteke’s fault. I watched a few clips from his previous seasons and it’s clear for Villa and Liverpool that when he is given the correct service, he can finish & he finishes really well! The play style of Crystal Palace does not suit Benteke for Performance Buzz at all. Palace rarely keep the ball, they play counter attacking football at home, meaning those valuable performance buzz points are being lost. Benteke is a lone striker, so he has to do all of the work himself. This leads to him being dispossessed on multiple occasions, which doesn’t help his statistics. Palace won’t win many games, this means that Benteke will rarely achieve the much coveted Game Winning Goal bonuses. 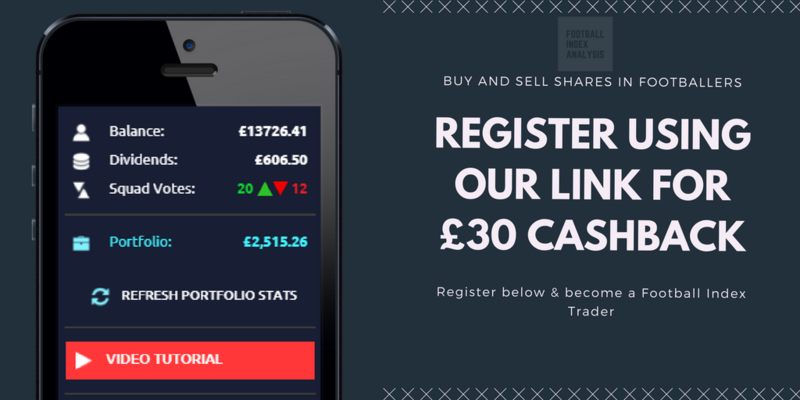 His price isn’t far from the relegation contenders, it’s been dropping ever since performance buzz was introduced and traders need to be cautious of it falling into the danger zone. This offer cannot be used in conjunction with another promotion. Benteke is not a bad finisher of the ball, he has a similar playstyle to Diego Costa, just not as dirty! He’s great in the air, but he’s also a physical specimen! However, playing for Crystal Palace means he stands minimal chance for any dividend payouts. He’s one to watch at 69p, but I couldn’t call which way this ones going to go! If he manages to get Palace out of trouble and scores in a few games, his price could rise, but if Palace continue to play the same way they have done in the opening of the season, he will drop in price. I am personally steering clear, but it may suit a trader who would like to add him as a potential flip trade.